The gang at the California-Oregon border east of Lakeview. 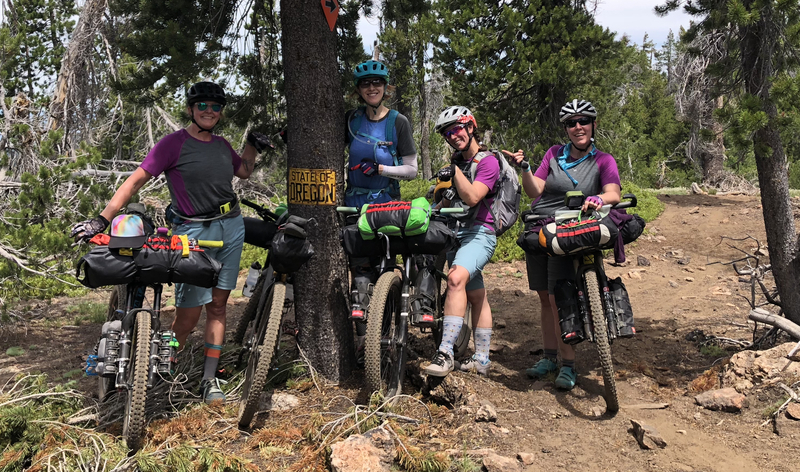 Left to right: Heather VanValkenburg, Aliza Richman, Deann Garcia, Karey Miles. 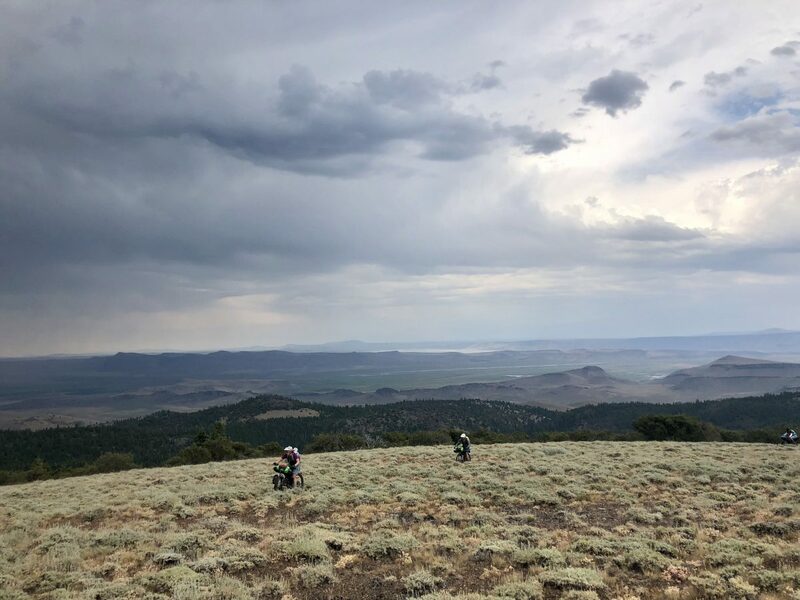 Feeling small in the expanse between Moss Pass and Paisley. Day 1 was really “fun”. 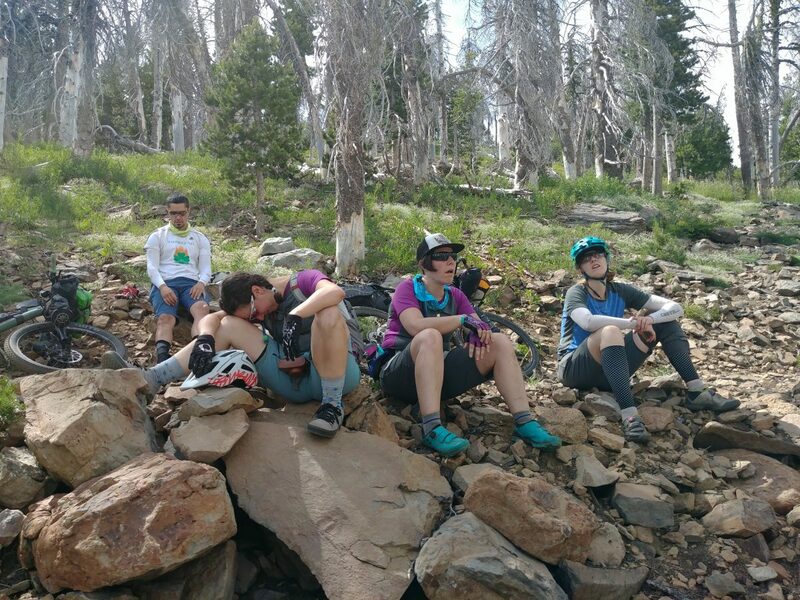 (Left to right) Bill Garcia, Deann Garcia, Karey Miles, and Aliza Richman take a breather at the highest elevation point on the trail — 8300-feet in the Fremont-Winema National Forest. The website did not disappoint. 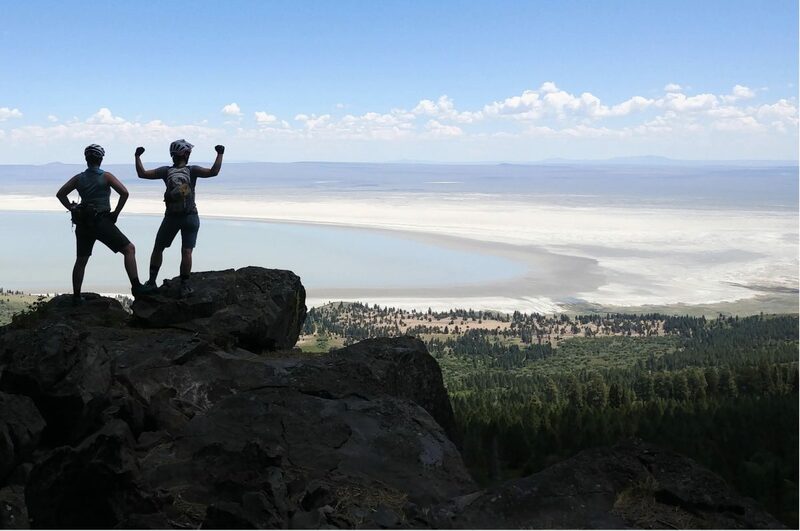 In addition to the classic joys (stunning desert vistas, the occasional hot spring) and tribulations (punishing heat, sand, cows) of an Eastern Oregon bikepacking trip, the fledgling OTT had a few surprises. 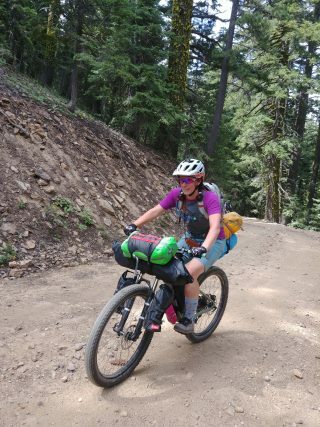 Deann Garcia and her fully-loaded rig. 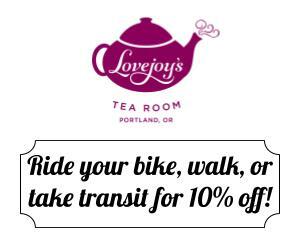 Come to the event to learn how to get your bike packed and ready. This Saturday, Nov. 17th, these intrepid women are hosting an event to share their stories and encourage others interested in embarking on an OTT trip of their own. 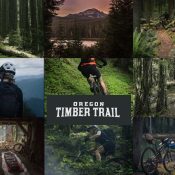 They’ll show a 25-minute video of footage from the trail and then take your questions. 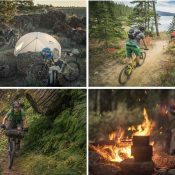 They’ll also have their fully-loaded bikes with gear and packing lists to help riders set up their own rig. 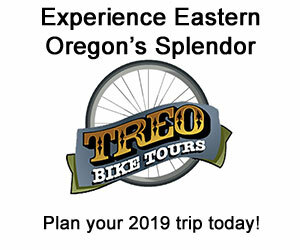 And to make sure this trail keeps getting better and better for all of us, all proceeds of raffle sales will support the Oregon Timber Trail Alliance – the team of badass trail stewards who built the trail and do the hard work of maintaining it. 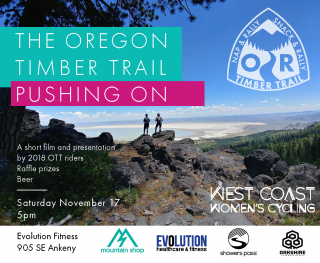 Free – Beers are $2 (bring your own pint glass), Raffle tix are $1 each – all sales will be donated to the Oregon Timber Trail Alliance. The event is open to all and should be especially useful for women/woman-identifying people who are interested in bikepacking and looking to meet like-minded peers. Hope to see you there! Been meaning to do this ride myself someday. Wow – those are some tough ladies. And Bill! What a great adventure. I offer my heartfelt congratulations to all 5 of the stalwarts who completed this journey! I wish I could be there for the slideshow on Saturday. 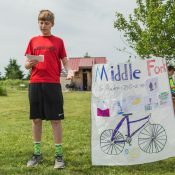 The event was a blast! Many thanks to the team for building the community and spreading the stoke as well as sharing some solid logistic information.